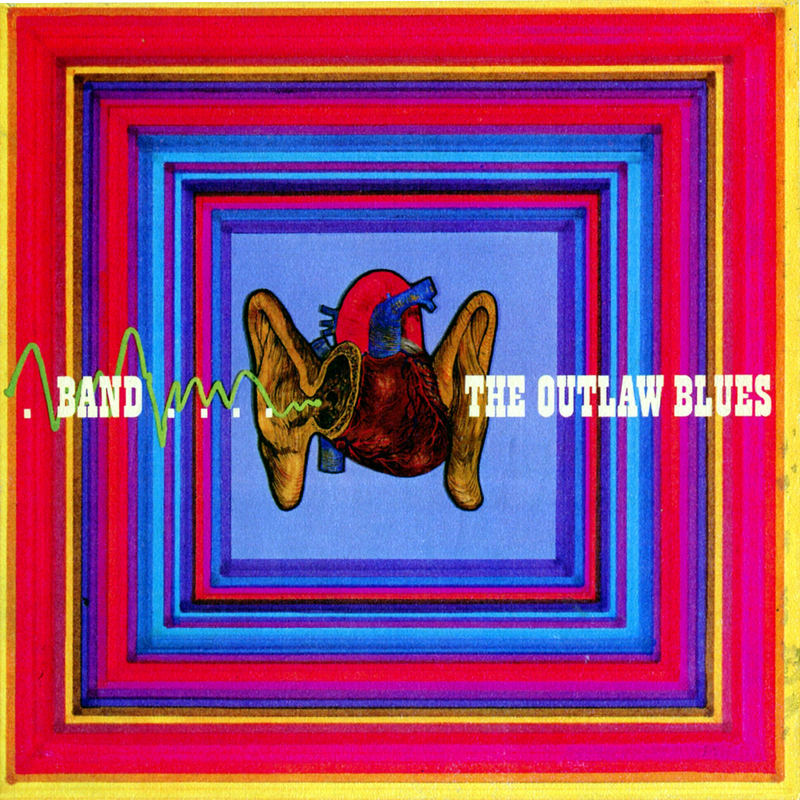 Chances are that you've never heard of the Outlaw Blues Band, although you may have run across the band's music a time or two. An obscure outfit with great appeal to crate-diggers and certain adventuresome club DJs, the Outlaw Blues Band's two lone 1960s-era albums have taken on a certain underground cachet since their release, and OBB songs have been sampled in tracks by such hip-hop artisans as De La Soul and Cyprus Hill, among others, and have shown up in various movie soundtracks. Formed in Los Angeles in the early 1960s by drummer Victor Aleman, bassist Joe Francis Gonzalez, and guitarist Phillip John Diaz, the Outlaw Blues Band was as equally influenced by blues and R&B artists like Muddy Waters, Sam Cooke, and Johnny "Guitar" Watson as they were by British Invasion acts like the Rolling Stones and the Beatles. After building a strong reputation on the basis of their dynamic live shows, the Outlaw Blues Band was signed to ABC/Bluesway Records by legendary producer Bob Thiele, releasing The Outlaw Blues Band And The People album in 1968, and Breaking In a year later. The Outlaw Blues Band kicks off its debut disc with a particularly funky take on the old John D. Loudermilk greasy-blues treasure "Tobacco Road." While the rhythm section cranks out a deep groove, a blaring horn riff pushes the song forward. Guitarist Diaz's solos are vibrant, rich in tone, and loud enough to joust with Joe Whiteman's tenor sax. Diaz's scattershot vocals, the band's backing harmonies, and the song's circular soundtrack blend together, making for a hypnotic listening experience. The band sinks deep into the blues with its original "Tried To Be A Good Boy," the song a musical dichotomy that sets Whiteman's jazzy sax and flute notes against Diaz's emotional vocals and wiry leads, the band's unique arrangement taking the song into an entirely different direction.The up-tempo "How Bad Love Can Be" is a rollicking soul-blues rave-up with Diaz's raucous vocals matched by his scrappy rhythm guitar, Whiteman's icy blasts of sax, and a fluid rhythm section that brings a slippery feel to every beat. Again, Diaz's leads are dynamic, jumping right out of your speakers and demanding your attention, the energy crackling like ball lightning around your ears. Drummer Aleman smacks the cans with a fierce percussive attitude. The blistering emotion of "Lost In The Blues" is bolstered by Diaz's tortured vocals and scorching guitarplay, while Whiteman's use of a vibraharp is interesting for the textures it brings to the otherwise period-perfect blues-rock jam. The album's highlight is "Death Dog Of Doom," a chaotic eight-minute instrumental showcase that masterfully blends blues, rock, jazz, funk, and soul with a heavy Latin influence that reminds of Santana but with a wilder edge. While Gonzalez's throbbing bass and Aleman's subtle drumming builds a rhythmic foundation, Diaz stirs in swirling layers of psychedelic-blues guitar, Whiteman throws in scraps of flute and vibes, and several band members bang out various percussive rhythms behind Jimmy Colford's dominant Congas. The song is a welcome reminder of the kind of musical experimentation that a band could get away with during the swinging 1960s, a free-spirited jam that blows away preconceptions and breaks down barriers, opening the door for future musical ideas. The Outlaw Blues Band comes back to earth with a smoldering cover of B.B. King's classic "Sweet Sixteen." Diaz sounds more like a traditional blues vocalist here, all silky and smoky while Leon Rubenhold's harmonica playing finally has a chance to rise and shine. Often lost in the mix of other songs, Rubenhold's harp style evokes that of Little Walter, and provides a fine counterpoint to Diaz's imaginative fretboard runs. Larry Gentile's organ provides a bit of warmth to the performance, and Aleman's nuanced drumming reminds of the great Sam Lay. The album closes out with the cacophonic "Two 'Tranes Running," a free-form instrumental jam inspired by John Coltrane and Miles Davis, and a little too improv for my tastes, tho' jazzheads might dig it.